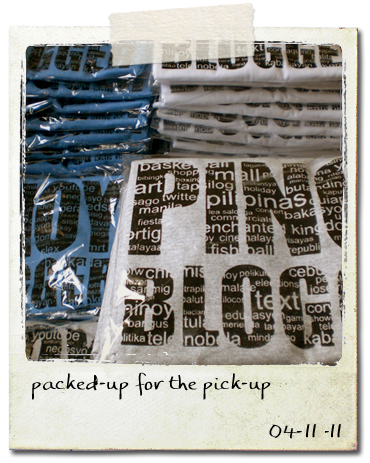 I was back at my printing this morning for the last batch of the Pinoy Blogger shirts. It was a hot day and yet I've encountered no clogs on my screen. I'm becoming more inclined to think that the clogs and the tough stains are caused by the old black ink that I used on the first batch. I also remember that I've used new white ink on the same stencil to print the sample shirt that I gave to Fitz and had no problems with cleaning.